Brad Kammholz graduated from the Boston University School of Law in 1990, and from The University of Maryland at College Park in 1987 with a B.S. in Accounting. Before opening his own firm, Brad Kammholz was partner with the Rochester personal injury law firm of Faraci Lange. Before that, Brad Kammholz worked with personal injury Law Firm of A. Vincent Buzard and the litigation department of Phillips, Lytle. Brad. Kammholz is admitted to practice law in all New York State courts, as well as the United States District Court for the Western and Northern Districts of New York. He is a member of the New York State Bar Association, the Monroe County Bar Association, the American Association for Justice (AAJ/ATLA), the New York State Trial Lawyers Association (NYSTLA), the New York State Academy of Trial Lawyers, and the Genesee Valley Trial Lawyers Association (GVTLA). He is a Past President of The Foundation of the Monroe County Bar. 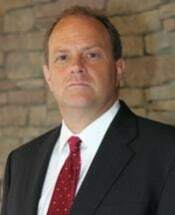 He has received various honors throughout his career, including Best Lawyers in America personal injury - plaintiffs and medical malpractice - plaintiffs, the 40 Under 40 Award from the Rochester Business Journal, the President's Award from the Monroe County Bar Association, and the Young Lawyer of the Year Award from the New York State Bar Association. I am proud to be a lawyer, and that I've been given an opportunity to help people when they are truly in need. I enjoy getting clients the money they need to pay for massive medical bills or to cover their lost wages. Other times, the best way I can help is to tell potential clients that they honestly don't have a case, or if they do have one, they won't get enough out of it to make it worth their while. I grew up in Washington D.C. and went to The University of Maryland at College Park. I'm a Terps fan all the way (sorry Syracuse). In my third year of law school at Boston University, I had a choice to make about where I'd practice law-Rochester, Boston, or San Francisco. I chose Rochester. My mother and her five brothers and sisters grew up in Rochester on Melrose Street. My brother and I used to spend part of our summers at my grandmother's cottage on Conesus Lake. All of this made my choice easy. My grandfather also made my choice easy. He was a founding partner of a law firm that now employs 200+ lawyers in Chicago specializing in labor law. He talked to me about the advantages of working in a smaller city (the little pond theory). I'm glad I listened to him. Rochester has been wonderful to me and to my family. While becoming a partner at Faraci Lange was a dream come true, I also always dreamed about owning my own firm. My Grandfather left a prestigious firm to start his own firm when he was the same age that I was when I left Faraci Lange. I knew it was the right thing to do when it was my turn. My wife, Karen, and I have beautiful twins - Maddie and Brennan - the greatest kids ever known!